Russia expects that Georgia will honor its commitments not to use force and will use only international law mechanisms in establishing justice in the Transcaucasian region, the Russian Foreign Minister said on a visit to South Ossetia. ­Russia expects that Georgia will honor its commitments not to use force against its neighbors and in return will use only international law mechanisms in establishing justice in the Transcaucasian region, the Russian Foreign Minister said on a visit to South Ossetia. Russian Foreign Minister Sergey Lavrov made a working visit to South Ossetia on Monday and met with the country’s President Eduard Kokoity. The officials held a joint press conference after the meeting on which they reported on the current state of Russian-Ossetian relations as well as on prospects of the settlement of the Ossetian-Georgian conflict. Russian minister said that Moscow expected Tbilisi to stick to its promise not to use force against South Ossetia and Abkhazia – the two republics that were recognized as independent by Russia and a number of other states following the 2008 armed conflict with Georgia. 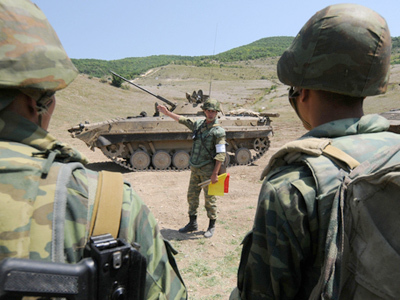 “We expect that the Georgian authorities should confirm their obligations to not use force against South Ossetia and Abkhazia. We will help South Ossetia in this, and we will insist that this task is considered a priority in international discussions,” Lavrov said. At the same time, the Russian official said that new provocations from Georgian side were possible, but expressed personal hope that the activities of Mikhail Saakashvili’s administration will remain in the propaganda field. “I hope that the current activity of the Georgian side will not go beyond verbal propaganda. We have got used to it and the same is true for international organizations. 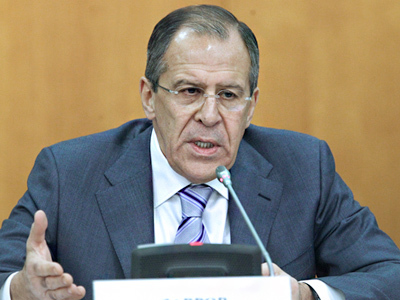 This is – excuse my rude language – empty chattering,” Lavrov said. He also added that Russia, South Ossetia and Abkhazia were jointly working to ensure the security in the region on the international legal level. At the same time, the Russian minister criticized Western nations for strengthening Georgia’s military forces which, in Russia’s view, does not add to the peace and security in the Caucasus. “The help that is rendered to Georgia by the West is aimed precisely on the strengthening of its military factor and this pushes Georgia to provocations. 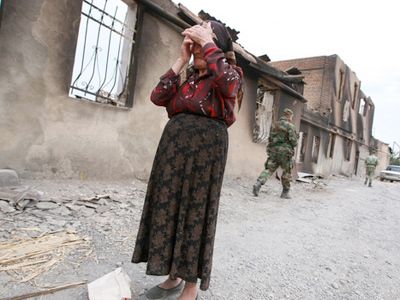 We must do everything to preserve peace, as South Ossetian and Georgian peoples want to live in peace,” Lavrov said. 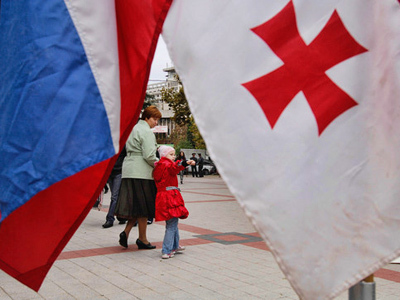 The South Ossetian leader said that the relations with Russia remain top priority for his people. He said that the progress in relations was a practical reply to those who call South Ossetia a territory occupied by Russia, an expression which Kokoity called the legacy of Cold War thinking. He also said that his nation would continue to use the Geneva discourse for voicing its peaceful initiatives and carrying out the Medvedev-Sarkozy agreements. The South Ossetian leader also thanked the Russian authorities for economic aid and for diplomatic assistance in getting international recognition of its national sovereignty. He also said that South Ossetia was in talks to get official recognition from one more nation, but did not disclose the participants of the talks.